CBOSSdss – an OLAP-based data mining system that ensures on-line analysis of large data sets, providing insight into performance of the operator’s divisions responsible for: marketing, sales, finance, clients, services, tariffs, etc. It uses interrelating parameters of the company performance, thus providing for grounded managerial decisions. CBOSSudr – User Defined Reports – a reporting system that empowers users to create reports, based on conventional business performance parameters, without assistance of IT specialists, promptly modify the reports by changing the parameter selection. It supports collective work on reports, mailout of reports, Web-enabled access, data export. CBOSSdwh – a Data Warehouse software for automated data collection from various sources, preliminary data processing, data consolidation and storage for subsequent use by CBOSS analytical systems. 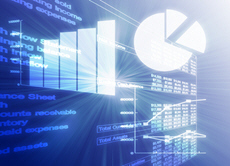 Additionally, one of available report decisions is CBOSSdm – a CRM intelligent support system that encapsulates complex methods of Deep Data Mining and is an effective tool for addressing the existing and new challenges: segmentation of subscriber database for better QoS, subscriber behavior analysis for preparation of marketing campaigns enhancing subscribers’ loyalty, calculation of consumer baskets to boost sales.